The best place to start with energy conservation is your own home. Averages and estimates are great, but they don’t show the actual data on how much energy your home actually uses, which is where energy cost savings can help the most. If we all conserve and use energy responsibly, we can we can see a greater change as a whole. 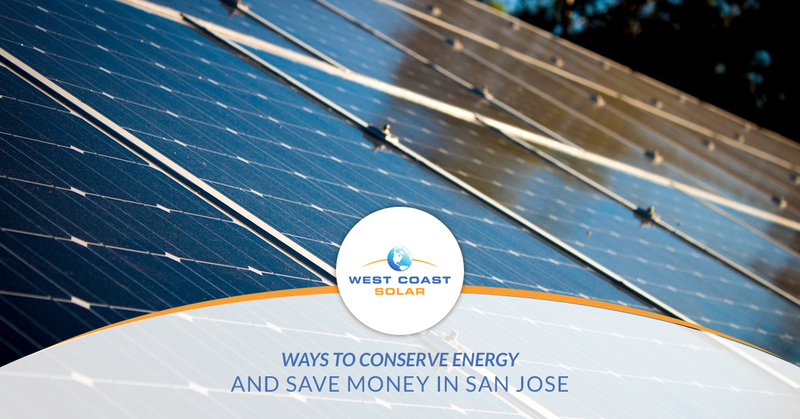 Nonetheless, West Coast Solar has put together a list of ways you can DIY your energy conservation and use prior to installing solar panels on your home. If you want to learn more, read on to find out! It’s normal to think the outlets in our home can handle whatever we plug into them; however, this isn’t always the case. What you want to watch out for are what’s called “phantom” or “vampire” electronics. These types of electronics can use up to 75% of their needed energy to run while off or in standby mode. This means when you think a favorite electronic or appliance is off, it’s actually pulling energy. What does this have to do with plug loads? Measure with a Kill-A-Watt meter: You can plug the meter into the outlet then plug the appliance or electronic device into the meter. Setup the meter so it reads in watts, and then measure the energy usage in both off and on modes. Compare the difference. Here’s a simple way to manage energy use while appliances or devices are off: use a power strip, or simply unplug them. You can also purchase a smart strip to do this for you, shutting off anything plugged into the strip that switches from on to standby/off mode. It’s estimated that home appliances can account for about one-quarter of your household energy use. One of the highest energy consumers? : Your refrigerator. To optimize energy consumption in your refrigerator, you’ll want to do three things: 1. Check the temperature, 2. Check the seals for cracks or tears, and 3. Set optimal temperature between 35-40 degrees Fahrenheit for the refrigerator and 0-5 degrees Fahrenheit for your freezer. Washer and dryer: Use cold water when possible. Wash full loads on short wash cycles. Use the high spin cycle to lessen time in the dryer. Make sure and clean the lint trap after every dryer cycle. Dishwasher: Wash full loads. Use short wash cycles. A/C System: Clean or replace your air filters more often than manufacturers recommendations. Apply window filters to reduce heat gains or losses. Circulate air with portable or ceiling fans where possible. Replace your A/C unit with Smart unit to save even more on your bill and reduce energy use. It may seem odd to think your lighting can use as much as 20% of your annual energy use, but reconsider how often the lights are on, which kind of light you have, and if you could upgrade them for better energy conservation. The major help to energy use in lighting is switching your current bulbs out with LED bulbs. Start with the bulbs which get the most usage and work your way to the bulbs that get little to no use, such as kitchen or bedroom lights. Even switching out 50% of the bulbs around the house can reduce energy usage and save you money. As much as you might want to believe it, your house is not perfectly sealed. No house is perfectly sealed. What does this mean? If you can find the gaps, cracks, or drafts, you can take action to reduce air escaping or air invading your home. If airflow, whether out or in, is significant enough, you may find yourself paying for a slightly more expensive energy bill to keep your house cool in the summer and warm in the winter. Use an infrared laser thermometer to determine if you have drafts or insulation issues throughout your house. Check the inside of the exterior walls around outlets, windows, and doors. Schedule a local insulation specialist or contractor to address any home sealant needs. Insulate walls, ceiling, windows, attic, crawl spaces, and the like to keep your home climate ideal. A frequently missed, yet small, update to a home is the weatherstripping around doors and windows. You can use the laser thermometer or you can simply slide a piece of paper in any visible gaps. If the paper slides all the way through, you need to seal the gap. Another indicator of a gap needing sealing is light. If you can see light shining through the gap, it needs to be sealed. Once you seal up your house, consider going green with your energy collection and use. West Coast Solar offers completely custom home and commercial solar energy designs, so your investment saves you money over the long term while you help save the planet. Looking for solar energy design in San Jose or Sacramento? Give West Coast Solar a call and get started today!